A Biography, A.N. Wilson, Basic Books. Adolf Hitler is considered to be “the Demon King of history, the ultimate horror-tyrant,” notes A.N. Wilson on the first page of his short biography. But just sentences later Wilson begins to make the case that Hitler was also so much less. And that what makes his story so remarkable is how a man with almost no skills, little energy, and a modest education, managed to gain control of a Western European nation, start a world war, and instigate the mass murder of six million Jews. Of course, Hitler did have a gift for public speaking, not to mention the capacity to manipulate both crowds and individuals. He also benefited from having a snappy two-syllable name; “Somehow the great Nuremberg rallies would not have seemed so impressive if the serried ranks of tens of thousands of enthusiastic Germans had all been chanting ‘Heil Schicklgruber!’,” quips Wilson. But the author has a point. Two words commonly associated with Hitler are “lazy” and “hypochondriac.” We also know that Hitler failed to realize his dream of becoming an artist or architect, and did nothing to distinguish himself as a soldier in World War I. Comparing Hitler to a “bar-parlour bore” may be taking the argument a bit too far, but Wilson’s arguments certainly merit consideration. The most disquieting suggestion, though, is Wilson’s notion that Hitler held sway over so many people because his prejudices and fundamental beliefs closely paralleled those of the people of Germany, not to mention much of the Western world. The book also illustrates how “humanity can be seduced without much difficulty into acts of collective insanity,” and asks whether there’s another human being somewhere in the world “who possesses the arcane and sinister gift, when the right historical moment arises, of once more leading the masses to frenzied acts of mutual destruction?” In the final analysis, Wilson suggests that the answer is yes. 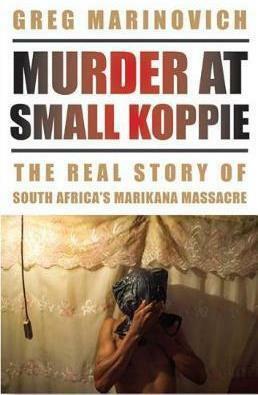 Murder at Small Koppie—The Real Story of South Africa’s Marikana Massacre, Greg Marinovich, Michigan State University Press. Read It And Weep—-30-: The Collapse of the American Newspaper.